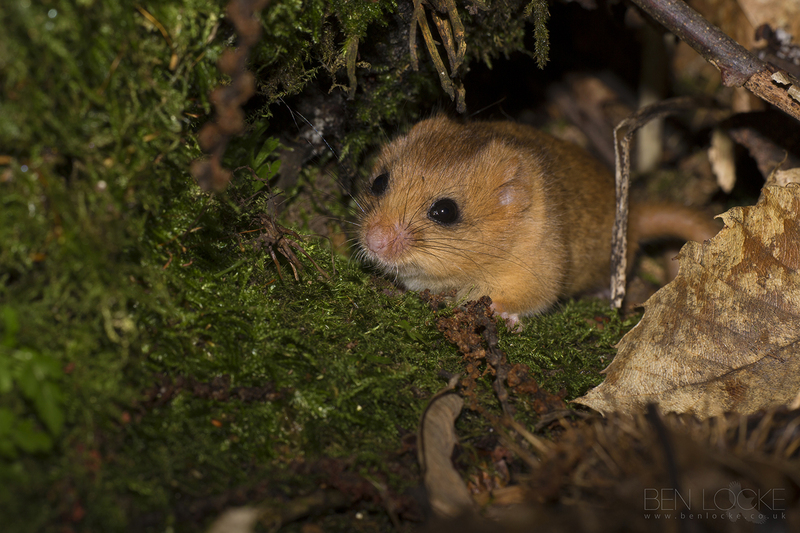 The dormouse lives in dense, deciduous woodland, coppice and thick shrubbery. Hazel coppice is a preferred habitat and the dormouse builds spherical nests of grass and honeysuckle bark situated a few feet from the ground. Here it spends the greater part of the day before emerging after dark to forage high in the canopy.